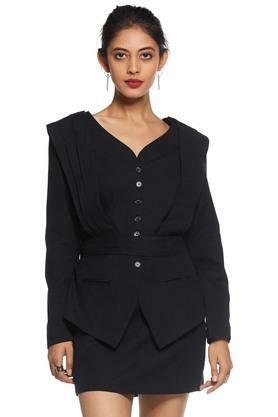 If you are in search of a new shoulder jacket, check out this one presented by Rheson. It features a solid pattern with a pleat detailing at the front that renders it fashionable, while the V neck and the full sleeves add to its design. In addition, it has been made of cotton linen fabric, which ensures optimum comfort. 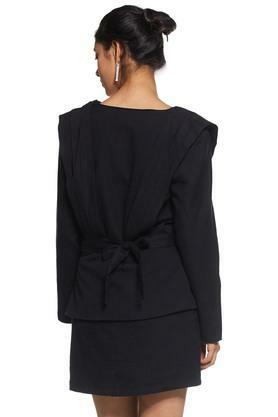 This pleated shoulder jacket will be an ideal choice for all the fashion forward women out there. You can wear it over a top along with a pair of jeans for casual occasions.